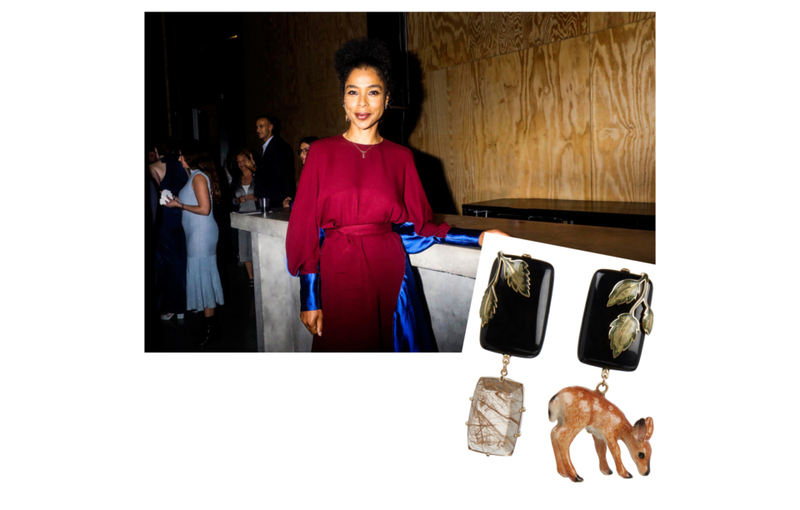 This month beautiful actress Sophie Okonedo OBE wore TP London’s Forrest Fawn Earrings to the New York premiere of hit play People, Places and Things. In celebration of the play’s sell-out success in the UK and its much awaited move to Broadway, fashion doyen Anne Wintour and theatre director Rufus Norris hosted a special preview performance at the St Ann’s Warehouse, Brooklyn, followed by dinner in situ in the auditorium. Guests included Andrew Garfield, Rebecca Hall, Helen McCrory, Damian Lewis, Tom Sturridge, Olivia Wilde and Hamish Bowles. TP London wishes to sincerely thank India Sinclair at Hamilton Hodell for facilitating this loan.